In common with other species of Eucalypts, Lemon Eucalyptus Oil is also an effective inhalant to help clear phlegm and stuffy sinuses when it’s inhaled from a tissue or dispersed in a vaporizer. It also makes an excellent insect repellent and can be used alone or in blends with other respected repellent oils such as citronella, lemongrass, cedar atlas etc. 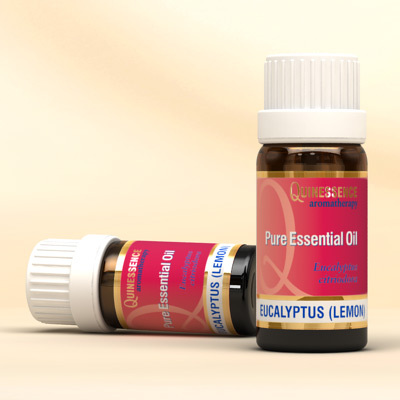 Lemon Eucalyptus Essential Oil is a powerful fungicidal and bactericidal that has been scientifically evaluated many times against a wide range of organisms. In 2007, the antibacterial activity of Lemon Eucalyptus Essential Oil was tested against a battery of clinically important bacterial strains at the Phytochemical Pharmacological and Microbiological Laboratory in India. During this research Eucalyptus citriodora (Lemon Eucalyptus) essential oil was found to be highly active against Alcaligenes fecalis and Proteus mirabilis, and active against Staphylococcus aureus, Escherichia coli, Proteus vulgaris, Salmonella typhimurium, Enterobacter aerogenes, Pseudomonas testosterone, Bacillus cereus and Citrobacter freundii. Its efficacy was found to be comparable to the antibiotics Piperacillin and Amikacin.